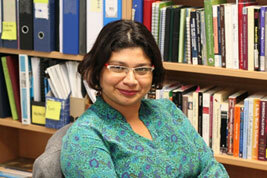 Dr Bianca Brijnath is a Senior Research Fellow in the School of Occupational Therapy and Social Work. Her disciplinary training is in primary healthcare, public health and medical anthropology and her research expertise is in mental health and compensable injury. Within these disciplinary boundaries, she has undertaken several studies exploring the role of general practitioners (GP) in facilitating return to work, the impact of the new Victoria certificate of capacity on sickness certification, and GP prevention and management of road traffic injuries.